This course is designed to train the paraprofessional in the skills of taking a temperature. Specific step-by-step procedures for each method are included. State when to notify the professional clinician related to temperature. 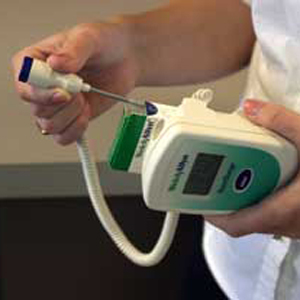 Describe the correct procedure for measuring a tympanic temperature using a tympanic thermometer.